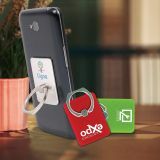 Have you ever thought of seeking advantage from the fact that most of your customers own a mobile phone or phone? 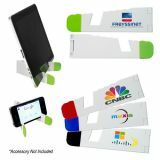 If the answer is yes, you know how useful these custom phone and media stands can be for your business. 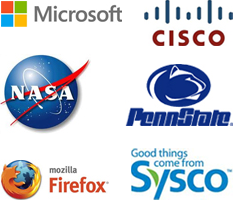 Today, everyone is using one or other type of phone or media devices for communication. 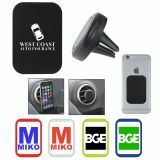 That means there is no shortage of promotional opportunities with this customized phone and media stands. 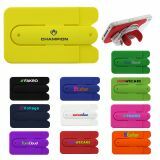 We have only included best-seller promotional phone and media stands in this selection and all of them are covered under the lowest price match guarantee. 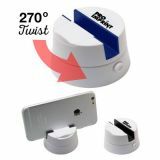 Nowadays, promotional phone and mobile stands are considered risk-free promotional business gifts because everyone uses mobile gadgets. 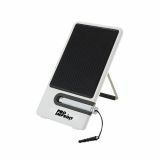 It is very useful for striking chords with your prospects and turning them into customers. 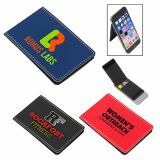 Customized with your business logo and message, these promotional phone and mobile holders will be a constant reminder to your clients whenever they put their phones on it. 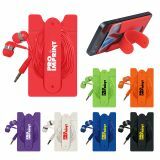 At ProImprint, we carry a comprehensive selection of mobile phone holders that fulfill variety of marketing requirements. 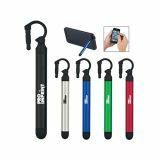 Made from an array of quality materials such as microfiber, PVC, plastic and metal, these promotional stands and phone holders can easily withstand the daily wear and tear. 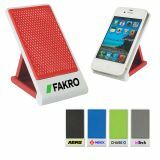 These customized phone and mobile stands are available in various interesting colors, designs, finishes and shapes and they can hold any kind of Blackberry, iPhone or iPods. 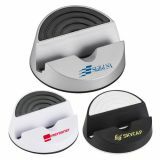 Along with easy recognition, these mobile and phone holders will also offer you generous imprint area for your brand logo. 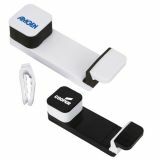 If you want to lend a professional touch to your campaign, it is perfect to select the sleekest branded mobile phone holders. 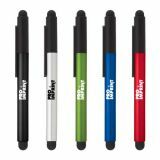 Depending on your marketing requirements, you can select from designs that give a boost to your brand logo and makes your efforts stand out in the niche. 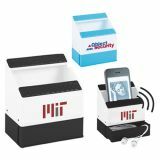 If you want to create a distinct impression, you can go for uniquely shaped media stands that offer incredible ways to cast a spell on your target audience. 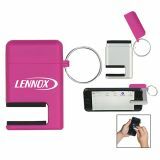 Our graphic designers will help you to convert these plain phone and media stand into adorable promotional gifts by making use of the printing methods such as digital transfer, screen transfer, pad printing and full color printing. 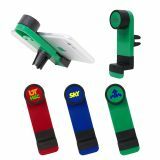 Most of these phone holders offer large imprint areas for positioning brand information and your business can make the use of it for building maximum brand exposure. 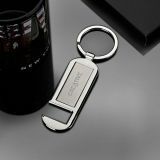 So take help of our marketing experts to pick the right mobile phone holders with logo for your next promotion. 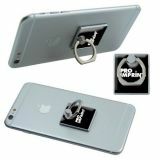 Write to us at info@proimprint.com or dial 844-776-4677 to get in touch with your branding experts.